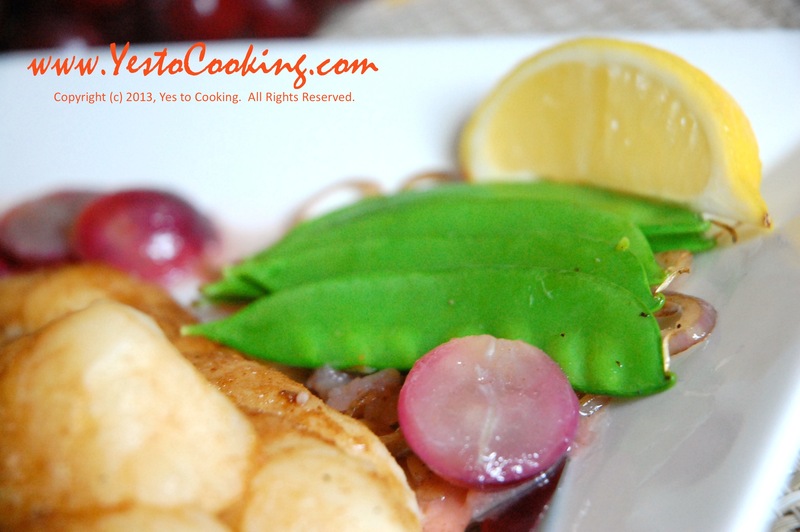 Need an elegant entree that looks and tastes gourmet, but only requires minimal preparation? Here’s a solution! This recipe is ideal for a sturdy, fleshy white fish which is why I’ve used New Zealand’s deep-sea Orange Roughy this time. 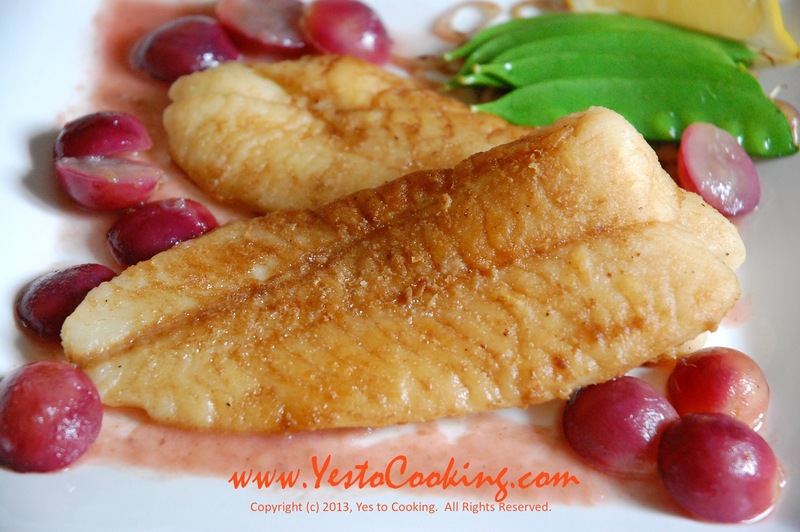 The mild flavor of Orange Roughy complements the flavorful white wine and grape sauce in the dish. For a good substitute for Orange Roughy, try using flounder, sole, red snapper, haddock or tilapia instead. 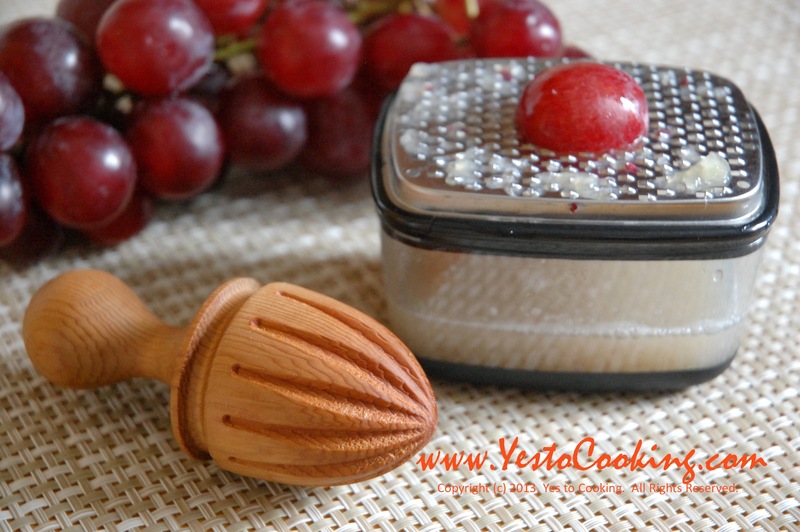 1) Prepare ½ cup of fresh grape juice by using a cheese grater and rolling 1 cup of the grape halves back and forth with a wooden lemon reamer. Discard any skin. 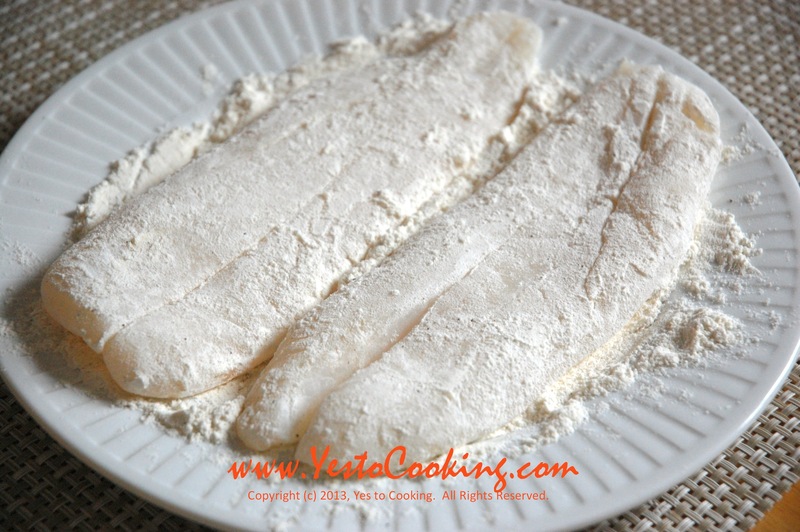 2) Lightly coat the fish fillets with seasoned flour. 3) Parboil snow peas in water with a pinch of kosher salt for about 2 minutes and then put into ice water to stop the cooking process. 4) Melt ½ tbsp. of butter. Cook the shallots until soft then add the blanched snow peas and cook for 1 minute. Remove from heat. 5) In a 10-inch skillet, melt 1 tbsp. of butter (be careful not to burn the butter). Cook the fillets over medium heat for about 8 minutes or until golden on one side. Melt another 1 tbsp. of butter then cook the other side until golden. 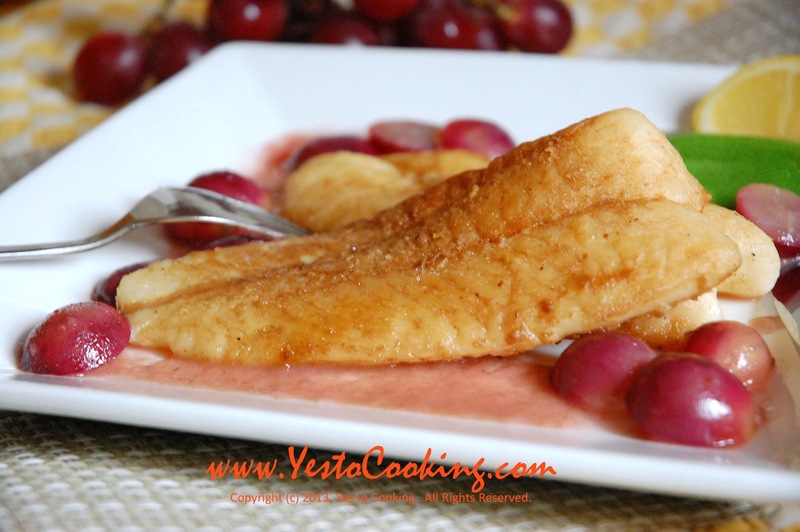 Remove fillets from the skillet. 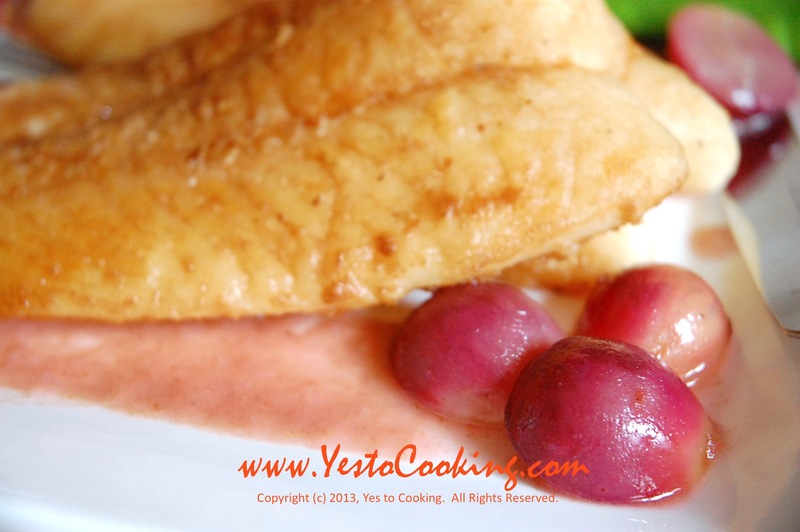 6) Deglaze the skillet with grape juice and white wine. 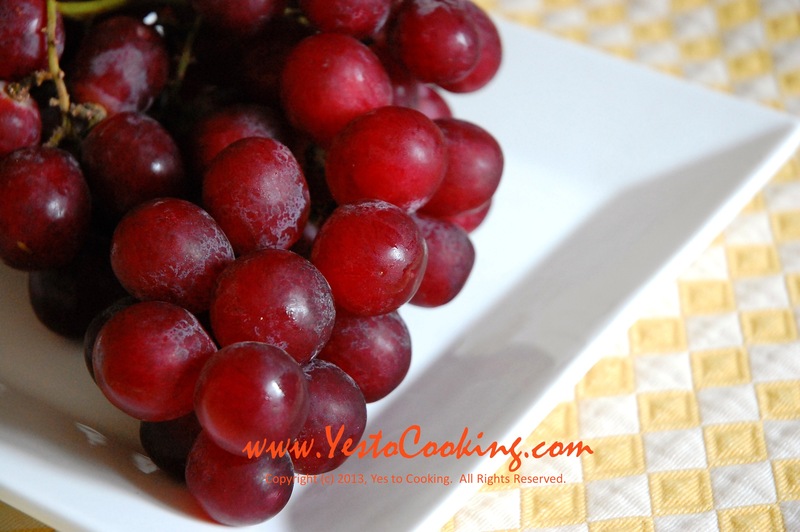 Cook over high heat for 1 minute then stir in remaining 1 cup of grape halves. 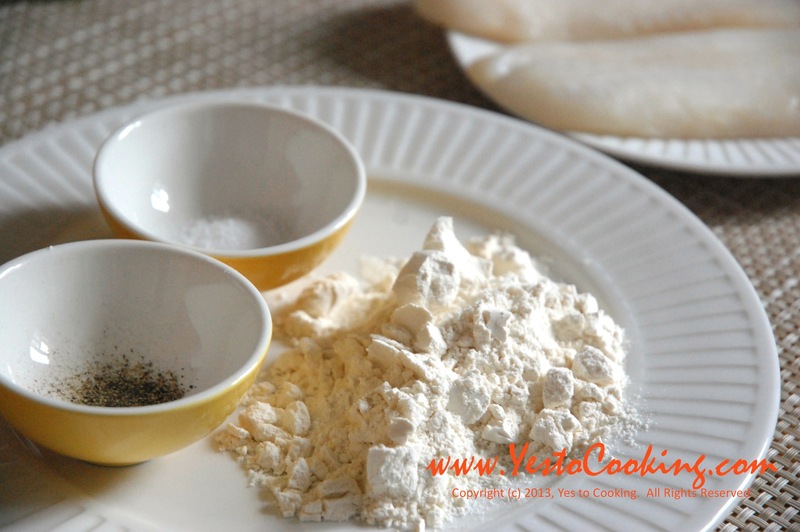 Cook for another 1-2 minutes or until the sauce reduces to approximately ½ cup. Remove from heat. 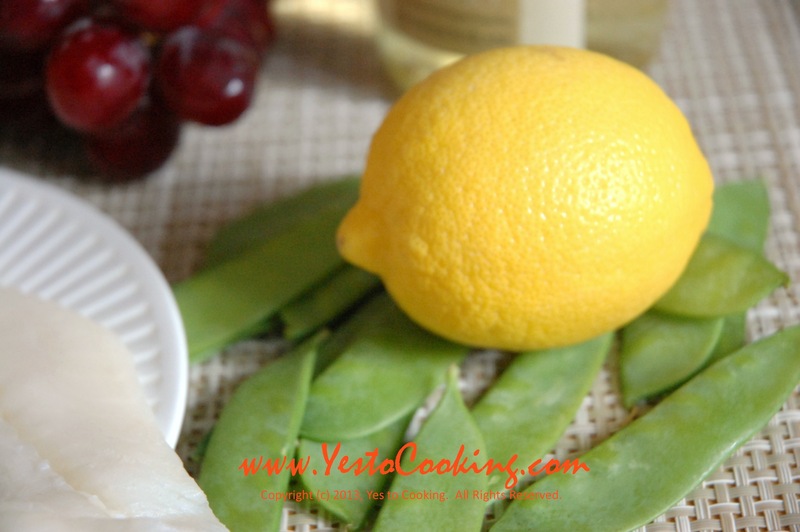 7) Pour the grape sauce over the fish fillet and plate with snow peas. Garnish with wedge of lemon. Salt and pepper to taste. Only turn the fillets once when the one side has turned a crispy, golden color. Constant flipping runs the risk of breaking up the fish fillet, so you want minimal, gentle handling while pan-frying the fish fillets. 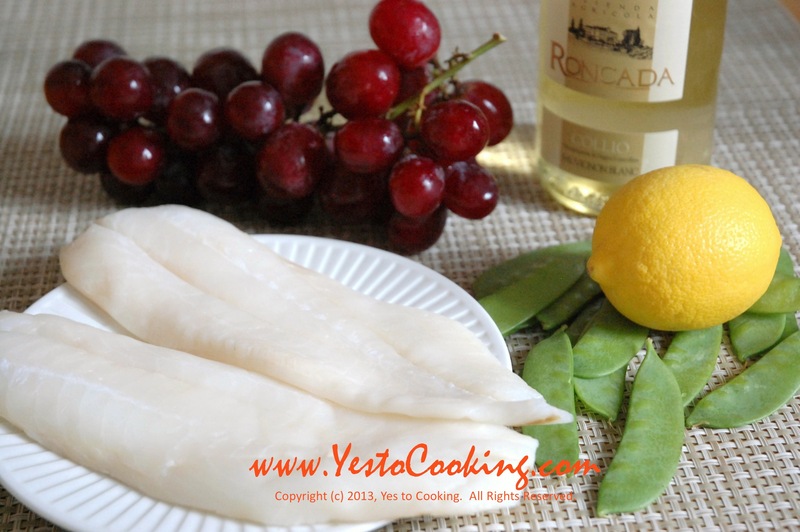 Tags: cooking, dinner main course, fish fillet recipe, fish fillet white wine grape, fish grape white wine, grape cooking, orange roughy recipe, orange roughy white wine grape, seafood white wine grape. Bookmark the permalink. will do it.simple yet delicious. Do try this recipe out and let me know how it goes! I’m a big fan of quick, simple dishes especially for weekday nights. Do you have any recipes for whitebait? the small white fishes. Yes, as a matter of fact I do! I’ll put it on my list of recipes to post. This looks so yummy! It can be a main for me. Love the white wine and grape sauce. This combination alone already made my mouth water. I love the sound of this. 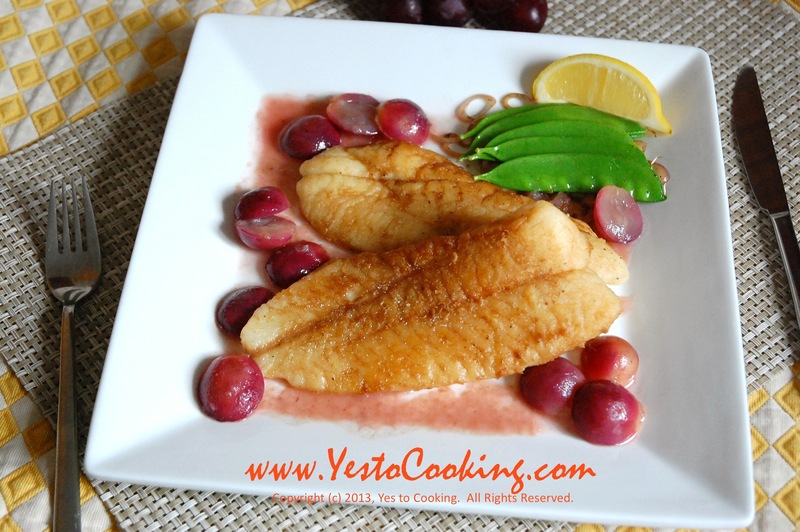 Who would have thought to put grapes with fish! I bet this recipe would work great with tilapia, too.